‘Meteor Garden’ returns to Philippine television next week as part of ABS-CBN’s tenth anniversary celebration of the Asianovela. More than ten years ago, ‘Meteor Garden’ became the launching pad that would later become the Asianovela genre, and even after the series ended, its popularity among teenage Filipinos remains strong. Which is why ABS-CBN and Jeepney TV will bring back the original Taiwanese drama starring F4 and actress Barbie Hsu to the small screen starting next week, as part of its 10th anniversary of bringing the Asianovela to Philippine television. The groundbreaking Asianovela was first introduced in May 2003, and within a month, it became one of the most-watched programs on the Kapamilya network. ‘Meteor Garden’ was so popular that it helped influence teenagers to copy the hairstyles and the wardrobe donned by Jerry Yan, Vic Chou, Vanness Wu and Ken Chu, as well as Barbie Hsu. F4 albums were also distributed to great success, and at the peak of F4-mania, the group even visited the Philippines at one point. The success of ‘Meteor Garden’ forced GMA to answer with their own series in ‘My MVP Valentine’, starring another boyband in 5566. Unfortunately, it failed to measure up to the popularity of ‘Meteor Garden’, and as a result, GMA was forced to go to South Korea to acquire other Asianovela titles. 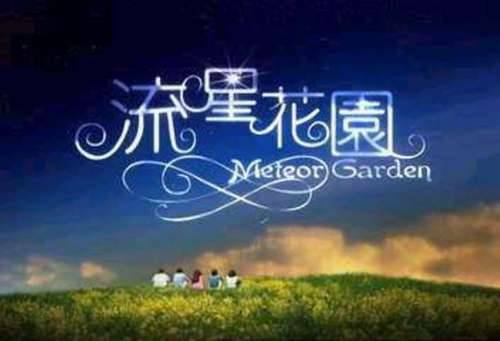 It did, however, re-air ‘Meteor Garden’ in 2007, as part of its short-lived ‘mangaserye’ hour. Despite that, ‘Meteor Garden’ continues to be an iconic brand to the Kapamilya network. In the weeks leading up to its return, ‘Meteor Garden’ and F4 became one of the top trending topics in the social media website Twitter. This only proves that even after a decade, fanaticism for the Taiwanese series remains on a high. And as the series re-airs next week, expect ‘Meteor Garden’ to once again become one of the top-rated programs of the year, and in the process attract a new generation of fans.